302 in stock Need More ? Reprint. Originally published: London: Doubleday, 2001. 'Unforgettable' Guardian 'Stop it! You're all behaving like animals! Worse than animals - like blankers! 'Sephy is a Cross: she lives a life of privilege and power. But she's lonely, and burns with injustice at the world she sees around her. Callum is a nought: he's considered to be less than nothing - a blanker, there to serve Crosses - but he dreams of a better life. They've been friends since they were children, and they both know that's as far as it can ever go. 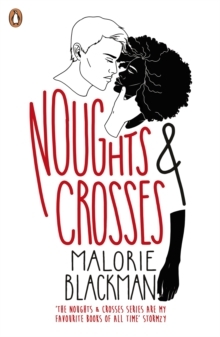 Noughts and Crosses are fated to be bitter enemies - love is out of the question. Then - in spite of a world that is fiercely against them - these star-crossed lovers choose each other. But this is love story that will lead both of them into terrible danger . . . and which will have shocking repercussions for generations to come.